We have a couple of important milestone dates coming up…. 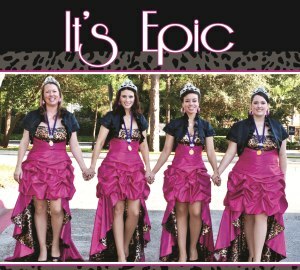 but we had to stop for a minute to think about which one is the correct “anniversary” of the start of Epic! On April 17th, we auditioned Anne, so that one could be thrown out there as the moment of creation. We had already slated Miss Shana into the bass spot, but we had auditioned another super talented singer who was moving from her comfort zone as a bari to give lead a shot. She brought strength to the table, for sure, and it was a really hard decision for us to make. In fact, it took several weeks and several auditions to move forward. Then there’s May 15th. 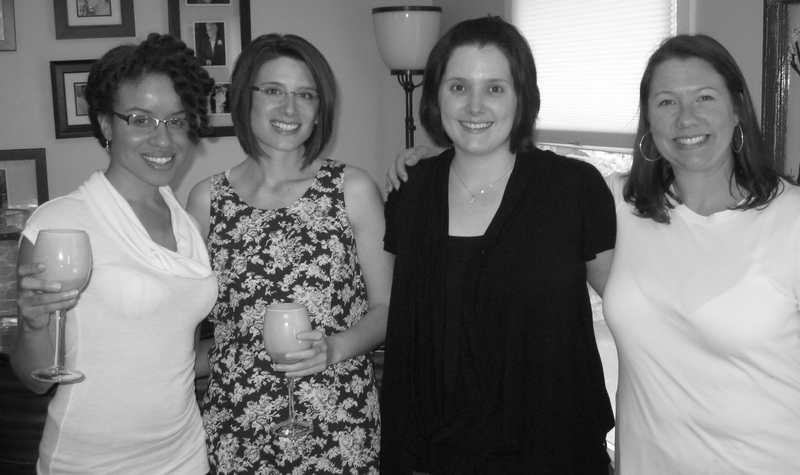 On May 15, 2011, we had our first rehearsal as a quartet…. we had four members ready to launch and their permanent voice spots had been decided. Here’s the thing though–Kris had given birth to our beautiful baby William (we’ve all claimed ownership rights… he’s seriously the cutest Epic mascot EVER) just FOUR DAYS earlier. So technically, it was a trio that day. Finally, we met as a foursome on June 5th. Kris was SUPPOSED to be on a “maternity leave” from the quartet until at least the fall, but she’s a barber-brat and she couldn’t take it any longer! We had been sending her music files to study during her waking hours (no matter when they were with a month-old kid), but she had waited too many years to get back into barbershop to wait another month or two to rehearse. If memory serves, her VERY FIRST trip out of her house without baby in tow was to an Epic rehearsal. There are many, many reasons we love Rob (Kris’s hubby), many of them have to do with the food he makes us for rehearsal, but he certainly stepped up to hero status that day. So which is it? What date is our official anniversary? Well, we’re certainly open to your feedback, but we’re pretty sure we’re going to go with May 15th. We may have been missing one of our sisters for a few rehearsals, but we were Epic and we had put one foot onto the path of the amazing journey we now find ourselves on with each other. We didn’t know it then, but May 15th kicked-off an unbelieveable year and was the starting point of a quartet that has brought each of us a crazy amount of laughs, friendship and special moments.